When will be Back to the Land with Kate Humble next episode air date? Is Back to the Land with Kate Humble renewed or cancelled? Where to countdown Back to the Land with Kate Humble air dates? Is Back to the Land with Kate Humble worth watching? This series champions the UK's most inspirational rural entrepreneurs. Kate Humble and Geetie Singh-Watson watch the grit and determination to make it through the business year. Back to the Land is in Yorkshire where Kate meets the proud producers of the UK's very first skyr, a cheese which has been a Scandinavian favourite since the Viking era. Back to the Land is in the south of the country, starting in Hampshire with ex-marketing manager Emma and her business partner and shepherdess Suzie, who have teamed up with the ambition to produce the best woolen yarn in the UK. With neither women having drawn a salary in seven years Kate joins them at a tricky point as they need to expand whilst staying true to their artisan roots. Back to the Land is in the heart of England meeting partners Toby and Aly, whose passion for their local woodlands in Herefordshire and love for coppicing combined their talents to create a business making traditional, sustainable garden fencing and gates. Kate joins them at their busiest time of year, felling season. The pressure is on to fell enough trees and to deliver on orders to sustain the business and keep their staff employed all year round. Back to the Land returns to catch up with a few of the familiar faces from the first series to find out how their businesses have fared over one year later. In Pembrokeshire we meet seaweed entrepreneur Jonathan as he launches a new beach shack, while Wagyu beef farmer Will Prichard's business - and family - is expanding with a new baby and a new business franchise. In the Lake District Kate meets up with Mandy Marshall to discover if her Herdwick bag business has finally had some good fortune and Kate has a tipple with Tash, Devon's cider farmer, and sets sight on the foundations of their new processing barn. 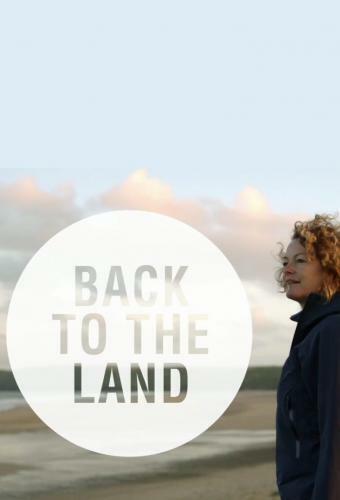 Back to the Land with Kate Humble next episode air date provides TVMaze for you. EpisoDate.com is your TV show guide to Countdown Back to the Land with Kate Humble Episode Air Dates and to stay in touch with Back to the Land with Kate Humble next episode Air Date and your others favorite TV Shows. Add the shows you like to a "Watchlist" and let the site take it from there.